← Is it possible to find satisfying work? Imagine spending your life on the ocean in a sailing ship interacting with the great whales. 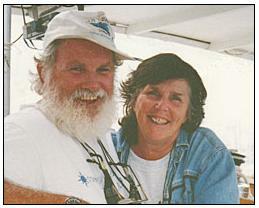 That’s what Trish & Wally Franklin do as founders of the Oceania Project, a non-profit research organization dedicated to the conservation and protection of whales, dolphins and the oceans. I discovered their oddly captivating YouTube video Angels of the Sea entirely by accident. 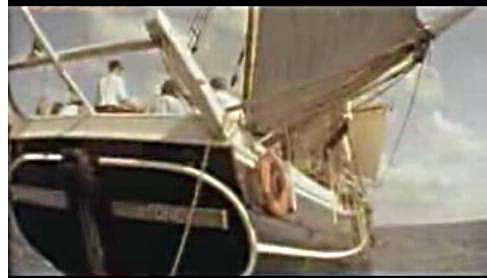 This particular YouTube Video is the trailer for "Angels of the Sea", a feature documentary on The Oceania Project, broadcast nationally by The Seven Network Australia. I think you will enjoy it and the many other videos produced by the Oceania Project. Here is another Angels of the Sea video you might enjoy. This entry was posted in Expanding our horizons and tagged Angels of the Sea, Dolphins, Oceania Project, Trish & Wally Franklin, Whales. Bookmark the permalink. Great video, great people, amazing critters.